So with the eve of 50 years since Shankly showed up at the Liverpool quarters nearly upon us, the 1st of December will mark exactly 5 decades since the great man began his reign at Liverpool Football Club. William (Bill) Shankly was born on the 2nd September 1913. A small, isolated village in Ayrshire - Scotland would be host to the young life of arguably the greatest ever manager to grace the football league. Shankly began his footballing career in 1931 when he became a player for his local team - Cronberry Eglinton. A year later he headed for Carlisle United but it wasn't until he again moved clubs to Preston North End that his playing abilities were truly realised. 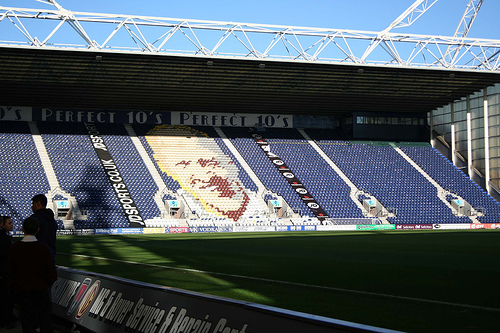 Shankly has his own stand at Preston NE with his face depicted using the seats and colours of the club see here.